This interview with Juan Calle was originally aired on July 5, 2011. With new gTLDs going live every week for the upcoming couple of years, this interview is applicable to both new registry operators and investors alike. What is your strategy for making your top-level domain unique, differentiated and desired by businesses, individuals and investors? What is your marketing message and how are you going to market? How are you taking a leadership position to help end users make use of your top-level domain? Is the registry you’re currently or potentially investing in clearly communicating answers to the above questions on their website, in marketing literature, and in a blog? If the answer is no, perhaps you should consider short-term speculation (e.g., buy and quickly flip whatever.tld) rather than long-term investing (i.e., buy and hold for long-term gain) in the top-level domain. Many believe the .CO registry is the “poster child” for how a new top-level domain answers all the above questions and is succeeding in the minds of individuals, businesses and entrepreneurs. That makes the top-level domain a better investment than many, if not most, other top-level domains other than .com. It’s worth re-watching this interview to understand why. Juan Diego Calle is the founder and CEO of .CO Internet, SAS. Calle has more than 10 years of experience managing successful Internet companies. In 2000, he co-founded TeRespondo.com, the largest online search advertising network in Latin America. The company operated in USA, Brazil, Mexico and Argentina, and was acquired by Yahoo, Inc. in 2005. Subsequently, as manager of STRAAT Investments, he has been at the forefront of important Internet ventures such as FederatedTravel.com, owner of a large network of travel websites such as ParisHotels.com, NewYorkHotels.com, LondonHotels.com, among others. Calle studied Industrial Engineering and Finance at the University of Miami and is a graduate of Harvard Business School’s Owner President Management Program. Hey everyone, my name is Michael Cyger. I’m the publisher of DomainSherpa.com, the Domain Name Authority and a place where you can learn about the domain name industry directly from the experts themselves. On Monday, June 20, 2011 the Internet Corporation for Assign Names and Numbers, ICANN, approved plans that will make sweeping changes to domain names as we know them. A plan that will dramatically increase the number of generic top level domain gTLDs from the current 22 which include familiar domain name extensions like .com, .org and .net. ICANN anticipates between 300 and 1,000 new TLDs could be created under the new program and they may be available as early as 2013. And every new company is thinking about launching a top level domain under ICANN’s new program will undoubtedly be looking at the critical success and failure factors of other top level domains, most notably the arguable failure of .info and the wild success of .CO. Joining us today to talk about the success of the .CO top level domain is Juan Calle, the founder and CEO of .CO Internet S.A.S., the registry operator for the .CO top level domain. Juan’s company is about one year into his ten year contract to act as the administrator for .CO by the Colombia Ministry of Communication beating out other player such as VeriSign. His bid was strengthened by his connection to his native country which is Colombia. Juan welcome to the show. Juan: Thank you Michael. Glad to be here. Michael: It’s very exciting what you have done with the .CO domain name so far even before .CO’s general availability I read that there were 39,000 domain applications recorded. On launch day you didn’t know if your TLD was going to make it or not. One minute after opening the flood gates on July 20, 2010 people has registered 8,000 domains. By 22 minutes you have 100,000 domains registered. After 24 hours you had more than 250,000 domain names registered and on June 2, 2011 you registered your one millionth .CO domain name. Congratulations. Juan: Thank you so much. Hearing it from you is almost surreal. Michael: What do you attribute this phenomenal growth to? Juan: We have been thinking a lot about that in the company lately and I think it boils down to three very simple things. One: we have a great product. .CO is recognized around the world to mean company. People easily associate the acronym. We have great technology behind it. So in the instance at the very core basics of it we have a great product. The third thing is: there is definitely demand. .Com has been around for the last 25 years. We know there is close to 100,000,000 domain names in .com. There is clearly a need for an alternative to that space and we are seeing that benefitting us today. And lastly I would say: we have done great marketing. It’s worked so we are very happy about that. Michael: Good and I am going to dig into each of those areas because you have done some marketing that nobody else has ever done before and you have created some phenomenal demand. So before we get into that I want to ask you does the growth rate that you have had over the past year, does it meet with the business plan projections that you had before you launched? Juan: No. I answered that question yesterday to somebody else who asked exactly the same thing. And I will tell you exactly what I told them. If we had registered 500,000 domains in our first year of operations I would have been extremely happy. The fact that we actually registered 1,000,000 is unbelievable, it was definitely not in our projections. Michael: So during this show I want to get into your expertise in three different areas. I want to talk about the details surrounding the success of the .CO domain name. I want to talk about some lessons learned that can be shared with others that are going to be applying for new TLDs. And I also want to find out what your thoughts are on how these new TLDs will affect the domain name industry. But let’s start with some background of the .CO top level domain. Who do you target? You have clearly said that .CO is an alternative to .com. That people associate co with company. Who do you target with the .CO domain specifically? Juan: What you just described is really broad. We could go after the entire planet if we wanted to with that statement but considering the fact that we do have limited resources we needed to narrow in on audience that we felt we could reach with our resources, but more and more importantly an audience that would benefit .CO over the long term. The next ten to twenty years. We don’t expect Yahoo or Google or Facebook to all of the sudden rebrand to a .CO domain. We expect them to innovate in a .CO domain and some of them are doing that. But the real value comes from entrepreneurs. People that are building interesting things that are going to be the Twitters of tomorrow, the Facebook of tomorrow, the Yahoo of tomorrow. So considering our resources we decided to focus our strategy entirely on entrepreneurs on the web development community, the people that are building the next web. Michael: I love that. That is actually one of the reasons I started DomainSherpa is because there are hundreds of thousands of new companies formed every single year in the United States alone. There are magnitudes higher than that, ideas that people have, projects that people are starting, services that people are offering, without even being a company. So having a top level domain like .CO really does benefit an enormous amount of people. So clearly the premise that you are going to appeal to this niche, this enormous niche but targeted to begin with has benefited you tremendously. Juan: And let me quantify that actually. In the U.S. I don’t remember the exact number but in the U.S. during 2010 more than 500,000 businesses were started per month. Just new businesses – just in the U.S. So if you consider the fact that we are going after a global audience we are talking about millions of businesses that are starting each and every day. Those businesses, some of them are going to be looking for options on how to brand themselves online. And we think .CO is a perfect alternative for them. Michael: So you have been granted the administration of .CO from the Colombian Ministry of Communication. .CO was actually a ccTLD, a country code top level domain. Is that correct? Juan: That is correct yes. Michael: Okay so you are rebranding this country code to be almost like a generic top level domain. Juan: Yes, absolutely. Actually Colombia during a number of years went through a process of trying to figure out what to do with .CO. It had been a restricted space. There were only 28,000 domains when we took over the operations. And those 28,000 names were largely .com and .CO. So it was third level type registrations. And through that process of deciding what to do with .CO they clearly realized there was some potential to sell .CO on a global basis. They also recognized one of the main topics of this conversation today which is the new TLDs. How was that going to affect a space like .CO? So with those things in mind the government decided that it would be best to look at .CO from a global standpoint and not just Colombia alone. And that essentially evolved into an R&P processes, a procurement process we participated in that process and we won the right to manage the space for the next ten years with a renewal option for another ten. Michael: That makes sense. Clearly you allow anybody to register any domain name in the .CO top level domain. Do you discourage Colombian companies only from doing it because it may make search engines view your top level domain name more as a country code rather than a generic top level domain? How do you relate the fact that you are trying to make this into a generic top level domain but did it actually a country code top level domain? Juan: So from a policy standpoint it functions exactly like a generic top level domain level, like .biz, like .com, like the .info. Now from a marketing standpoint what we are doing to consider some of the things that you just said is .CO second level registrators (for example widgets.co) that would be – we market that as a global opportunity, as a global option for your branding needs. Now we have continued to operate .com.co. Those are the third level domain names. And in those we operate purely on a local basis. We market them for local purposes. So that is how we get a differentiation between local needs versus a global domain exception. Michael: Okay so as part of your contract you managed .com.co as well as the .CO? Juan: Yes and we actually also operate .gov.co, .net.co. Anything under .CO we operate. We just market them as different products for different audiences. Michael: And you said that you target “real use not speculation”. There are more .com domain names that are considered speculation than in real use. What difference does it make that you target real use instead of speculation. Juan: Well I think it is better to back up for a second to answer that question. So the goal is not targeting speculators, or targeting a real use. It’s really about what is the most effective way to build a global brand, to build that into a global brand. So to do that we recognize that we needed to get three things in place: We needed to gain massive awareness that the extension exists. So that is what I guess we call the first filler of our strategy. The second was we needed to get placement in all the major sales points, all the major registrars and very prominent placement in the registrars in order to grow. And then lastly we needed to get people used to use the domain extension so that it sort of creates that network effect. People see it and they might want to go register it and it becomes a self fulfilling cycle. It creates the network effect. So targeting use is really about accomplishing – getting that cycle to start spinning. People demonstrating that it is being used. Other people see it creates more awareness and more awareness allows us to get more growth. That is how we do it. Michael: That makes sense. So your focus – the three pillars that you mentioned are awareness for the top level domain, getting growth and selling the domain and then actually getting companies to use them so it drives other people to continue to use the top level domain. So let me dig into each of these three areas. So can you give me one example of how you built such fantastic awareness for the .CO top level domain? Juan: So all three of them sort of tie into each other. They have a little components of each other. Clearly the Super Bowl for example is the best example that I could use regarding awareness right? What better opportunity to than to have 100,000,000 that are watching tv to see our domain extension being used. That is how it ties into the other code being used right next to the Go Daddy brand. So that is probably the best example of awareness and it’s being used so it is a little bit a use fill as well. Then there is great examples with Twitter. Twitter gave us a lot of credibility. It created a lot of awareness particularly within the tech community. Which is a community that really drives the…they are the early adopters. So getting their credibility was very important and that generated a ton of awareness as well. Michael: And you have stated in previous interviews that the $30 price tag for registration of .CO domain names deterred people from registering thousands of domain names without using them. It also creates a better sense of worth for the domain name as compared to say a $5 domain name or less. As well as increasing your profits as a registry. If you have to do it all over again would you price .CO the same way? Juan: Absolutely. Absolutely because we continue to be that the entrepreneur, the small business owner, or even the large businesses, for them Michael, $30 is irrelevant. So we feel that if they are willing to pay $30 dollars they are going to build something interesting on that domain name. But you get a nod from a revenue standpoint it actually all balances itself out, right? We would have many more registrations if we charged $5. So in the end from a revenue standpoint it doesn’t make a difference, it’s really about building the brand long term. Michael: Definitely. So would you recommend to those looking at new TLDs to actually charge more? There is not much difference to a small business between $30 and $100 let’s say. Juan: I completely agree. We chose our pricing think of sort of going after a global audience. I think in the case of new TLDs it is going to be very niche. So let’s say .shop, .music, I see no reason for them to charge $30. I think that they could easily charge $100, maybe even more than that because it is really about targeting specific needs, specific audiences and for them the pricing is irrelevant. Michael: So you are coming up on the end of your first year of operation, the .CO registry that you started up. Can you tell us what the revenue projection is for your first full year of operation? Juan: Sure, we intend to end our first year with $25,000,000 in revenue. And we are hitting that target, we are a month away so we are definitely hitting that target. Michael: Great. And are you looking to have – I think a lot of the revenue in my uneducated mind might come from big sales to like an Amazon that bought a.co and z.co and maybe some other domain names, or the Twitter extension. Are you looking at the revenue to continue to rise, do you think it will be flat, or maybe take a small decrease because you are not going to have those big sales any longer? Juan: That is something that we totally riff quite a bit in the company is trying to figure out how do we allocate names through time so that we don’t get these huge spikes in revenue and then sort of it bottoms out. We have reserved a good number of premium names. We have about 4,500 and we have allocated a very small number of those. And the idea is to continue allocating premium names little by little bit over the course of time. Keep in mind that that is secondary to the fact that finding good users for those names is terribly difficult. It’s not easy. It’s a business development effort. Lori Ann already works a lot on that front – targeting companies that may have an interest in using one of our names. So it is largely defendant on how quickly we can find people that will use those names. And our revenue will definitely be impacted by blips, you know a big sale like the one we did for Amazon. Michael: That makes sense. And so other TLDs have never been marketed to the extent that you have marketed .CO. What percentage of your revenue do you spend on marketing efforts? Clearly a Super Bowl commercial, a 30 second Super Bowl commercial costs multiple millions of dollars, not that you have spent all of that because it was in partnership with Go Daddy but do you have a percentage that you have spent over the first year in marketing the domain name? Juan: Yes definitely. Our first year marketing alone was approximately $10,000,000 or 40% of revenues. Michael: Speaking of the Super Bowl commercial and Go Daddy is it fair to say that the Go Daddy partnership was a critical aspect of your awareness and growth of the .CO domain names? Juan: I think it was a critical element in a number of things. I don’t think Go Daddy would have partnered with us to that level if they hadn’t seen us going a number of other things. You know trying to build the brand and going after our real usage. If we had gone the path of just selling names for the sake of selling names without truly finding a community for them, I don’t think we would have been able to partner with Go Daddy yet at that level. They definitely contribute a ton into our business. They processed 50% of new domain registration in a world that for every TLD, if you look at our numbers that won’t be too different. So definitely they are a critical element of our success and we hope to continue working with them in the future. Michael: How did you originally create that partnership with Go Daddy? Juan: Some pain staking hours. A lot of conversations, a lot of traveling but I think this applies to all of our partners, all of our registrar partners, we really spent a lot of time showing them what we were doing. Michael: Two questions related to Go Daddy. Whose idea was it to bring on Joan Rivers as the .CO girl? Did you get any say in that? Juan: Yes, we obviously had to approve the use of Joan Rivers. I can’t get into too many of the details of the called Super Bowl Deal because there is confidential aspects of it. But the geniuses seeing the Super Bowl, in executing a Super Bowl commercial, are clearly Go Daddy. They have been doing it for however (five years or six years) and they do a great job so we definitely had some say because we are very careful about our brand and we are very thoughtful of the use of our brand. But Joan was definitely I think it was Bob Parsons idea. Michael: It was definitely a shocker. And whose idea was it to make .CO the default top level domain on the Go Daddy website for a period of time? How did that come about? Juan: So Go Daddy has a number of things continuously. Every day they are testing new things. That we don’t really have control over what is being tested in their product mix. So in that particular case I wouldn’t be able to comment. In the case of other registrars we definitely have premium placement in those registrars through our own marketing deals with them. So for example you go to Network Solutions you will see we are the default option in Network Solutions. In domain.com we the default option in domain.com. We try to get involved with the registrars through marketing deals. In the case of Go Daddy it is a little different because they are so much larger and they are always testing new things. Michael: And your registry is a joint venture with Neustar who is the operator of the .biz and .us top level domains. Is that correct? Juan: That is correct, yes. Michael: So basically they run the technology, the backend, the actual resolution of the domain names to the servers. Is that the way that it works? Juan: Yes they run two critical aspects of our business. One is the actual data base that stores all domain name information. That is what they call the SRS. That also connects to registrars. And they provide DNS services. So we have fourteen notes, fourteen computer servers, actually a bunch of different servers per note throughout the world providing resolution for .CO domains. So if you are in Japan or if you are in South Africa or you are in Colombia or if you are here in Miami, the resolution for a name will be exactly any other domain operator whether it is .com or .net. Same thing. Michael: So why partner with a company like Neustar rather than just build it in-house, hire a cheap technology officer that understands how these things work and operate it yourself? Juan: That’s a great question. And the answer is simple. I like to sleep comfortably. And the idea of our systems going down…we from the very beginning we felt .CO had a lot of potential to run serious business for serious companies. And for one of those to go down in the middle of the night because they can’t reach the domain name, the domain name is not resolving, that would be very detrimental to our brand in a very big way. So a company like Neustar who has experience who has done this before over and over and over again. And already has built infrastructures. You should see their data center in Sterling. It is a massive, massive thing. So that gives us a lot of peace of mind. Michael: Yes, definitely . So the expiration date for many of the .CO domain names is coming due in July 2011. Is that correct? Juan: That is right, yes. It will be our first year anniversary. Michael: So are you expecting a lot of them to expire and be auctioned or are you expecting a lot of them to drop, are you expecting a lot of them to be renewed and have the coffers replenished for registrars and the registry? What are you expecting? Juan: I think that there was so much interest for .CO during the launch. A lot of it having to do with – again going back to the things that what has made the extension successful, right? There was a lot of demand. It was gravy product. And there was a lot of marketing. So the three things combined made it so that that initial batch of names that were registered during the first few months of our launch I’d say those are great names. Those are names that were really sought after. So we are not concerned at all about a big dropped during, for that initial batch of names that were registered during the first three months. Those are quality names that people are either using for their businesses or legitimate domain investors that bought .CO names. Michael: So you continue to hold some premium .CO domain names in reserve. You said earlier 4,500, a portfolio of 4,500 domain names. I think you have some single, double letter domain names still. So the plan for those is to slowly release them to buyers that have expressed interest in using the domain name over a period of ten years or a number of years? Juan: So what we look for are companies that have a very clear business plan. That have the resources. That have essentially a specific use for the name. And then it is a process of negotiating a price for the sale. In the case of Amazon there are some very interesting things that we discussed with them that they have an interest in doing with .CO domains. Obviously it is Amazon so they don’t have to show us much. There is a lot of credibility there. But it is a slow process. A very slow process. They are one on one phone conversation and we do our best to finding the right home for these domain names. Michael: Are they mainly generic single word, are they all the single letter alphabet letters that haven’t been sold yet, double letters? How does the 4,500 roughly shake out? Juan: Sure so we have all single letters, including numbers. And there are the two character names and then there is a big batch of premium generics. So something like ‘goal’. A country like Pakistan.co. Those are names that we have reserved yet. Michael: I know I actually looked up to see if certain domain names when they were expiring and I get taken to a page on your website saying look at the opportunity. And I say I know about the opportunity. I just need to come up with a business idea. So when I am ready to rebrand DomainSherpa into something Domain.co then I call up Lori Ann and I start working a deal. Right? Michael: So you stated on your website opportunity.co that Google ranks .CO domains with the identical geo targeting options that are available to the .com web address. What exactly does that mean? Juan: As we understand it Google has decided to – has considered rather the policies that operate that applied for domain names including ccTLDs, including other ccTLDs. And they looked at those policies and they decided that based on the content that is being built in those spaces that they should rank, and they should be treated similarly to how they treat the generic domaining sentence .com, .net, etc. We simply don’t – haven’t seen an issue with the .CO being run as a global TLD and Google (or the other search engines) treating it as anything different than that. Michael: So you haven’t seen any issues happening. Have you actually spoken to anybody to Google about how their algorithm treats it or is it merely sort of clinical observation? Juan: Yes we have and it is actually been confirmed by a few bloggers in the industry and a reputable magazine in the UK. Michael: Excellent. You have also said that the new TLDs that will be offered as early as 2013 will educate consumers and that .CO will be the beneficiary of a lot of those domains. How is that? How will that happen? Juan: That is in interesting question. Looking at the history of other domain extension – you look at .info, .biz, even .net and then you see .com being so much bigger than all the others. Obviously it raises questions as to why, right? And clearly the reason is that .com was a beneficiary of being the first one out there. The first one to market. And also awareness being built, all this advertising being spent on building brands on .com. They were the beneficiaries on that. That is our biggest challenge from a marketing standpoint. It’s not our competitors. It’s the awareness that people have that the .com brand exists. It is sort of ingrained in people’s minds and battling that is very complicated. It is going to take a lot more than .net, it’s going to take a lot more than .biz, .info, . all the others that exist today to battle that. So we feel that in a world that is completely open, where thousands of new domaining extensions each one of those with their own marketing budgets, with their own websites getting built, the consumer will eventually change their attitude towards anything other than .com. They will understand it. They will immediately see it as that is perfectly valid. I’ve seen this other website. In that context we feel that .Co is a great product. It is a much better product because people immediately recognize it is a mean company. The letter co are shorter than com. So in that context we think we can be more successful than we are now. Michael: And are you actually allocating a similar marketing budget to future years? A lot of times companies launch and they realize that they need a big marketing budget to get the word out. You know to sort of get at a continuing awareness level. But with the new gTLDs coming out are you relying on theirs to prop up awareness or are you going to continue to spend on the same level that you have in the past? Juan: I think that the flip side to the positives that you just mentioned they use the fact that we will have more competition. So I think that is we drop the ball we will definitely have a problem. So we need to continue investing in building our brand, building our community and making sure that websites are being built on .CO. So we need to continue building the brand because it is going to get more competitive. So we will continue investing. Michael: So that is the third pillar that you have: the use. Which brings me to my next question. When fashion designers release new shoes or handbags for example they give away a few to celebrities and hope that the paparazzi will take pictures of them using their products. Put them in all the latest trade magazines. The celebrities are influencers and they add credibility to the brand. And the millions and millions of fans then want to have what the celebrities have. You have done something similar with the .CO top level domain that no other top level domain has done. T.CO is twitters url shortener used by over a 100,000,000 – 150,000,000 – 200,000,000 users. Amazon just bought a.co, z.co. Overstock has completely rebranded to o.co. And you even talked Nivi and Naval who run Venture Hacks and Angellist.com into using Angel.co. How do you influencers in the community to showcase your .CO domains? Juan: In many cases, believe it or not, they approached us. Juan: Yes, absolutely. And I think it ties very well into what I was saying that there is a demand. There is a demand for new options. And that applies to new TLDs as well.. I think that there is clearly demand for those new products as well. So in the case of Nivi and Naval they wanted to use Angel.co and we are thrilled because that is our target market. It’s the people that visit those websites. In the case of O.co is was an acquisition. They wanted to use it as well. We weren’t clear in the beginning on whether or not they wanted to fully rebrand. I remember having those discussions early on with them during the negotiation. They were non-committal on that point. It was a big step. And then all of the sudden we hear that the Oakland coliseum was getting rebranded. Michael: You couldn’t ask for a better promotion than that. You would have paid them if you would have known that. Juan: Absolutely, pretty much. And then we here that U2 is playing there that night. It was like wow. All these things that which are very, very cool. Certainly a bit of luck. I definitely have to admit that there has been a bit of luck in all of this. Michael: Luck finds the well prepared in a lot of cases. So your strategy has been to influence others clearly and luck has a part of that but the influence is important. Clearly people don’t want to go eat at a restaurant that doesn’t have anybody eating at the restaurant. Influence is important. Do you measure how effective that strategy is? How effective influencing and working deals to make sure that the .CO domains are being used most effectively is influencing others? Juan: We try to but it is very tough. We look at, we measure the few signals we get from the market. For example in the case of Overstock from when they started plenty of nationwide tv commercials with the o.co brand and even at that time it was early February they were using it purely as a shortcut. The minute those commercials started running we started getting phone calls for more premium names from just other companies or random people that saw the commercial and though hey I’d like to do something cool like that as well. So we measure things like that. And then of course there is the impact that something like Angel.co has throughout our community. So many entrepreneurs going to Angel.co looking for investments and angel investors. We hear and we see comments on websites that oh wow this is kind of cool. Using a .CO I mean. So we just look for signals around the web and just in our own phone calls. Michael: Great and what other metrics do you think are the most important for tracking and ensuring the success of your registry. Michael: Hourly. So not even daily, hourly registrations. Juan: Yes we get an hourly report and the top executives in the company are looking at that hourly report. We see what names are being registered. And we can see patterns there based on the outside factors. We can see patterns of registrations happening pretty much real time. Michael: So you are looking at how media affects registration. You are looking at your hourly registration. Clearly you are looking at business metrics like revenue and profit. Are there any other metric that you use as a company to measure the health of your business in the registry? Juan: Believe it or not we look at all the debate that is going out. That is happening out there in the market. What bloggers are saying about .CO or that customers are saying about .CO in forums. We are pretty active in looking at what is going on and we actually appreciate the fact that .CO is a polarizing subject. If you look at certain blogs you will notice that we have diehard fans and we love those guys for being so diehard about us and we have people that really dislike our very nature. That is not a bad thing. That is great from a marketing standpoint because it clearly means that we mean something. I think it would be tough if nobody was talking about .CO. Michael: Alright let’s turn our attention to the new TLDs for a few minutes. How will the new TLDs change the fabric of the internet? Juan: Oh how will they? It definitely relates to the point that we were discussing earlier. I do think that the TLD market that the domaining market is going to get fragment in a significant way. In a massive, massive way. It is not going to be overnight. It’s going to take time but in the long term I think there will be – right now there is a huge drive because of the awareness, because of people’s perception to just look for .com. They go to a registrar and that is the first thing they type in is .com. I think over the long term that will not be the case. They will look for their specific TLD that meets the functionality of their website. For example if they want to build a website around shopping they might go for .shop, right? And so it will become more about functionally and in some cases it will become about communities. So if your website is about Spanish/Hispanic food .Hispanic might be a good option for them. So definitely I think that the awareness level and then that drive to registrate with that co-domain will dissipate. Michael: And so from what I read you are an entrepreneur, your family is full of entrepreneurs. What advice would you give to an entrepreneur in your family that has spent years building their business that has created a ton of good will that has registered trademarks to protect their investment, and in the next few years they may have 300 or 1,000 top level domains where their trademark could be abused and taken advantage of? What do you have to say to them? Juan: That’s a tough question. And we as a business we think about that ourselves. Do we need to go out and register cointernet.health? And the answer is I don’t think so. To be honest I really don’t think that trademark abuse is going to be that much of a big deal. I think ICANN has taken the right measures to build in systems and methods to protect against cyber squatting. So I think definitely some people will try to abuse your brand but I think that there will be the mechanisms in place for you to prevent that if it really is a big problem. If it becomes detrimental to your business. So if tomorrow .health comes up we won’t register cointernet.health. Michael: So what is next for .CO? Are you personally planning to take the entire team on a safari to Africa to do some hunting? Do you have any plans? What is next for .CO? What is the execution plan for the next year? Juan: You know I have told my team in the past this and I will tell you the same thing. It is probably advise for any entrepreneur, in technology if you are running a technology company you pat yourself on the back once or twice and you keep going. It is such a volatile industry. It is moving so quickly that if you lose focus for a minute someone is going to come and just role right over you. So definitely the plan is to stay very focused. We have a long road ahead of us. Although we have been successful today, we are a small company, we need to be much, much larger to be in a solid position. So maintain the folks you are hiring. More and more people, we just hired one individual (I can’t say who they are) but a fantastic hire who is going to be our marketing director, a new marketing director and restructuring internally so that the people that are we already have, have more defined roles. So right now it is all about focusing on the business and continuing to grow it. Michael: And is one of your growth plans to take over a new gTLD that is part of the new ICANN process? Or are you focused completely on the growth of your TLD? Juan: Absolutely our team is entirely focused on .CO. That is not to say that we are not looking to see what is going on in the market and making sure that we are not missing out on any opportunities, but the big opportunity for us is .CO. Michael: I’ve seen in pictures that you actually have your own company gang symbol that you like to flash in photographs. Is that correct? Juan: Yes. Something like that. Michael: Is it like that? It’s that it? Juan: I guess it depends from where you are looking at it but yes. Michael: Alright, Juan. One last question. The .CO flying pig. What is the deal with the flying pink pig? Juan: At the most basic level we are a company of entrepreneurs. Everybody in our company is an entrepreneur. We are constantly thinking about innovation and on ways to break the status quo. The status quo is our biggest challenge. And a pig that flies symbolizes anything is possible. Even a pig can fly so we felt that was the perfect pet. Michael: Alright. For the audience that is watching if you have a follow up for a question please post it in the comments below. We will ask Juan to come back and answer them as he has time. If you would like to follow Juan and .CO on Twitter to keep tabs I believe your Twitter handle is dotco (d-o-t-c-o) is that correct Juan? Michael: All one word of course. Juan thank you for taking time out of your schedule to come on the show to share your expertise, to share your lessons learned .CO with those thinking about a new gTLD in the new ICANN process. Juan: Thank you, thank you so much. Thanks for your support. I appreciate it. Michael: Thank you. Thank you all for watching, bye. Nice interview as always Michael. It is working now so all is well :). My app is Pocket Casts 4.4.3 on a Google Nexus 4 Android phone. I get a message that the episode is “Not Found”. Thanks for the show. I found it recently. I particularly like the portfolio review episodes. They inspired me to build my own little portfolio. I don’t know how your service gets the podcast, but you should contact them as I’ve verified it’s not an issue with the DomainSherpa service. If you view the two links here (https://www.domainsherpa.com/wp-content/uploads/2014/02/strategy-podcast.png) and you can download and play the MP3. It’s also working on iTunes at https://itunes.apple.com/us/podcast/domainsherpa.com/id619478599. I really wanted to hear this episode but it is not playable in my podcast app … Is the feed slightly broken? What’s wrong with the audio, Andrew? What podcast app are you using on what device? 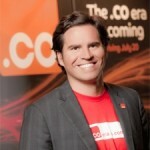 .CO domains work fine for thousands of startups, just like Paypal-competitor upstart Ribbon.co. When they hit it big, they’ll buy the .com but until then .CO is perfect and right in their budget. That’s the market .CO is going after, and they’re doing it well. Listen to the interview or read the transcript. I think that’s the point DomainSherpa is making. Great interview and Good Luck. Unfortunately, I just do not see .co, .music, or .whatever working out for most businesses. The companies that run them simply make the money, and everyone else depends on their own advertising dollars. Advertising ad brand has to be constant, and the millions spent by overstock on o.CO stopped when they realized it did not work. Further, I have a deep mistrust of any government that my business would depend on.